Rapid Lash Review: Would You Recommend This Product To Your Friends? Rapidlash Eyelash Enhancing Serum works on both the lashes and eye brows to provide you with enhanced, conditioned, and strengthened hairs. This serum uses a combination of highly effective ingredients to give you optimum results without irritation. Women go to great lengths to get the flirty, long eye lashes every Hollywood starlet seems to have today. We spend hundreds on fake eye lash extensions only to be left with dry, brittle, and broken lashes once they’ve fallen off. Rapidlash Eyelash Enhancing Serum claims that it can strengthen, condition, and improve the overall appearance of your eye lashes and brows. This product will help you reverse the look of your over plucked brows and damaged eye lashes in as little as four weeks. 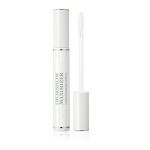 Using Hexatein 1 Complex, a unique blend of ingredients, this product will give you healthier looking lashes in no time and you’ll notice significantly less fallout with continued use. For best results, apply a thin layer of Rapidlash Eyelash Enhancing Serum to the upper lash line and sparse areas of the eye brows once per day. The application process is quick and easy. Allow the formula to dry down before applying any other products or cosmetics to the face. 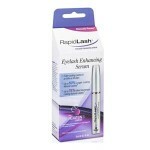 Rapidlash Eyelash Enhancing Serum retails for $49.95 per 0.1 fl. oz. of product on several well-known skincare retailer websites. Polypeptides: These ingredients protect the lash against breakage. Biotin: This ingredient is used as a growth factor, leaving you with healthier looking brows and lashes. Panthenol: Also known as Vitamin B5, this ingredients seals in moisture. 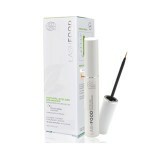 Amino Acids: This ingredient replenishes the protein structure in the lash and brow, resulting in a healthier appearance. Soybean Oil: This ingredient adds luster and shine to the hairs. This treatment works on both the lashes and eye brows. This serum only needs to be applied once per day. This treatment works in as little as 4 weeks. 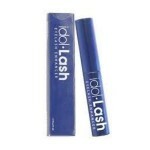 The Rapidlash formulation appears to have changed and has taken out an imperative lash growth ingredient. Customers claim this product burns their eyes and causes sensitivity. Rapidlash Eyelash Enhancing Serum claims that it can give you healthier, stronger, shinier lashes and brows in as little as four weeks. Although this sounds like a great product, this treatment underwent a formula change due to legal threats. The ingredients that were once found in prescription-strength lash growing serums is now no longer found in this product. 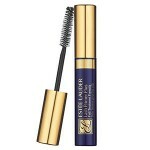 At best, this product will condition your lashes and brows, but there is no proof that you will see growth. 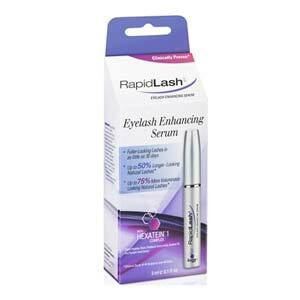 Rapidlash Eyelash Enhancing Serum is sold on several very well-known skin and beauty retailer websites. These sites have very reasonable return policies. If for any reason you are not happy with your product, simply return it within 30 days with the original receipt.